Welcome to this website dedicated to Charcot-Marie-Tooth type 2 A caused by a mutation in MITOFUSIN 2 protein, in its standard CMT2A2/HMSN2A form and in its variants (HMSN V/CMT V, HMSN VI/CMTVI, AR-CMT2). A rare genetic neuromuscular disease which causes progressive loss of movement capacities. 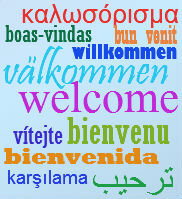 Our aim is to provide information and find other patients to create a broad international group. We also maintain and share updated scientific information for doctors, researchers and patients. We would like to publish the important update to our research Project just received from the University of Milan "Centro Dino Ferrari". The document illustrates the progress that have been made so far in the search for a possible therapeutic approach for CMT2A which will be presented in a session at the 71st Congress of the American Academy of Neurology, the largest professional organization of neurologists in North America, to be held on May 4-10, 2019 in Philadelphia. This section, edited by the Dept of Neurological Sciences of the Milan University, gives general scientific and medical information about CMT2A, specific information on its causes, the mutations identified in the gene of the Mitofusina 2 (you also see Database) and the diagnosis. 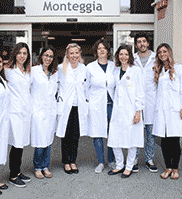 You will find also info about our Research Project "Development of a molecular therapeutic strategy for CMT2A based on in vitro stem cell models". Look at last updatings on March 2019. Do you suffer from hereditary motor sensory neuropathy (HMSN) caused by a Mitofusin 2 mutation? Do you know any adults or children who present with these symptoms but have yet to get a diagnosis for their condition? Contact us by phone or e-mail and tell us your story. We need to create a large group of patients to raise the interest of medical professionals and researchers to find a cure for CMT2A!We have shared our stories with you, now it's your time to speak and for your voice and be heard!